Everything you need. Nothing that you don’t. Our LSAT Complete Course uses interactive video lessons to cover the basics so that class time is focused on high-impact learning. The LSAT Complete Course is the most comprehensive LSAT prep program available. Providing not just material inside the classroom but outside as well, you’ll be fully immersed in LSAT work throughout your preparation period. Taught by expert instructors with 99th percentile scores, our live in-person and online classes are interactive, challenging, and anything but boring. And our small class sizes make sure that you receive the individual attention required to maximize your score. Students who want live in-depth LSAT prep. What makes the Manhattan Prep Complete Course different? All of our instructors are LSAT experts with 99th percentile scores. Our in-class drills are built using real, recent LSAT questions. We focus on fresh content that’s relevant for the modern exam. In a typical class, you cover the basics in class and then struggle to understand them when you’re doing homework. Our class is flipped. That means you’re introduced to the basics before class via interactive video lessons, and you’ll work through the hard stuff together in class. We help you build your foundation with 50+ interactive video lessons taught by our LSAT experts. With small classes, our instructors can tailor in-class drills to each student’s ability level. If you’re lost, the instructor can work with you to gain understanding. If you understand the material, the instructor can give you higher-level drills to push you to new levels of mastery. Lecture-style teaching is what we all picture when we think of typical learning – someone in front of a classroom, droning on. Our workshop-style classes are different, using small group work and individualized drills to focus on higher-level strategies. We incorporate the latest discoveries in learning science into our LSAT course to maximize the efficiency and effectiveness of how you study, integrating concepts such as interleaving, scaffolding, and spiraling. In typical LSAT classes, the instructor lectures from a script while the students passively listen. Our class is different. We use a flipped classroom model with teaching techniques derived from the latest in learning science. The core of our curriculum, each LSAT Strategy Guide delves deeply into a single area of the exam. Logical Reasoning – Move past the simple tricks of other prep methods to fully understand the patterns of the exam, letting you apply your knowledge to questions you’ve never seen. Logic Games – Begin to think like an expert instead of just categorizing game types. Learn high-level strategies around adapting to new situations, using prior work, and when to build frames. Reading Comprehension – Learn how to analyze not just the passage itself, but also the question and answer choices. Two books of official LSAT PrepTests – why learn from anything other than the official exams? Challenge problems, flashcards, a detailed syllabus, and more! The Complete Course is fully comprehensive – it will review everything that is tested on the LSAT. 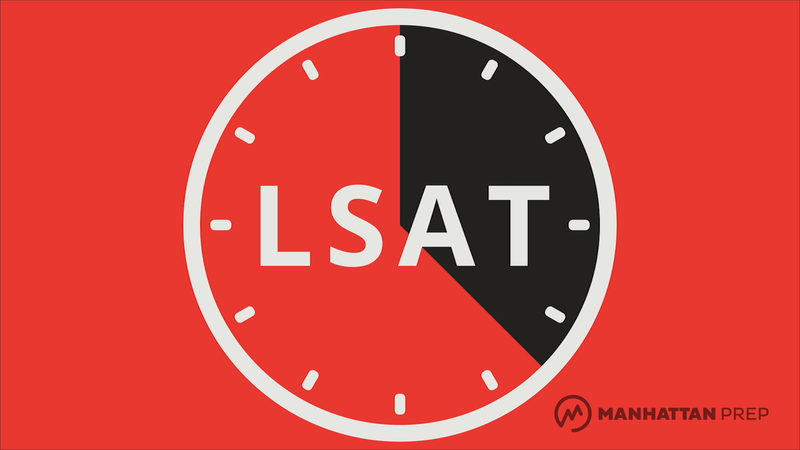 It is best for students who are just beginning their LSAT journey, have only done some preliminary studying on their own, or are looking to strengthen their skills in all aspects of the exam. Students who are able to attend every class session will get the most out of the course. We offer the class both online and in-person, and classes at varying levels of acceleration – some courses meet once a week, while others meet 2-3 times a week. All of the courses will cover the same curriculum, so we recommend signing up for the option that is most convenient for you, and best suits your timeline. There will be about 10-15 hours of homework assigned between class sessions, so you will want to make sure that you have the time in your schedule to commit to the suggested work. All students, both in-person and online, will have access to our On-Demand course – LSAT Interact. This program covers the same curriculum as the Complete Course, and is broken up into individual interactive lessons that are great for both reviewing material and making up any missed sessions. In-person course students may attend up to three make-up classes during and up to one month after their course. To schedule an in-person make-up class, please visit the “Class Schedule” section of your Student Center, or contact Manhattan Prep at 800-576-4628 to reserve a seat in an alternate session. Students in online courses will have access to a complete set of recordings from a recent course, which covered the same topics in each session. If you miss a live session, you can log in to your Student Center on our website to access the prerecorded version. These recordings are made available immediately upon signup, so you can even plan ahead for a class you know you’ll be missing. You will have access to your online resources from the moment you register for the course, up until 3 months after your class has ended – this includes the PrepTests, Review Session Recordings, Interact Lessons, and syllabus. Those resources can be extended twice for an additional 90 days within 45 days of their expiration (fees apply). The only resource that is on a slightly different timeline is the ebook access – the ebooks will be available to you from the moment you enroll, through 1 year after the start date of your course.